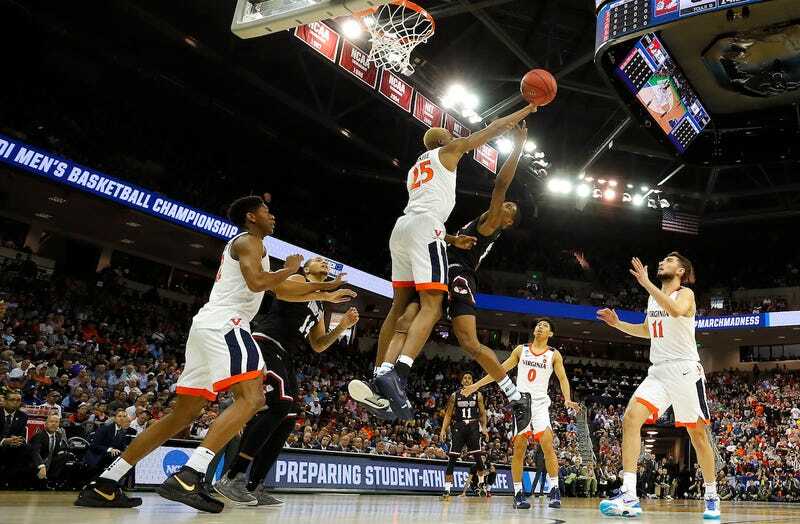 The Virginia Cavaliers proved today that truly, anything is possible during March Madness, as head coach Tony Bennett’s crew upset powerhouse Gardner-Webb for a 71-56 victory in the first round. The Runnin’ Bulldogs, who dominated during the regular season en route to a third-place finish in the Big South, were up by 14 at one point in the first half and held a 36-30 lead at halftime, but the scrappy Cavaliers clawed their way back and showed why they were a team to watch going into the men’s tournament. It didn’t matter that Virginia left easy points on the table by shooting 61.5 percent from the free-throw line—this is clearly a squad no opponent should overlook. Hubris undid Gardner-Webb in the second half, as the Cavaliers broke out for 41 points and pulled away easily. They really looked like a top seed out there, and should be a tough out for second-round foe Oklahoma. This plucky team’s run isn’t over yet.